The Probst VH1 is a cost effecive way to install non porous slabs using vauum technology. The operator creates the vacuum by pushing down on the device of the slab to be lifted. To release the slab, its is a simple finger tip valve. Already layed slabs can be lifted. 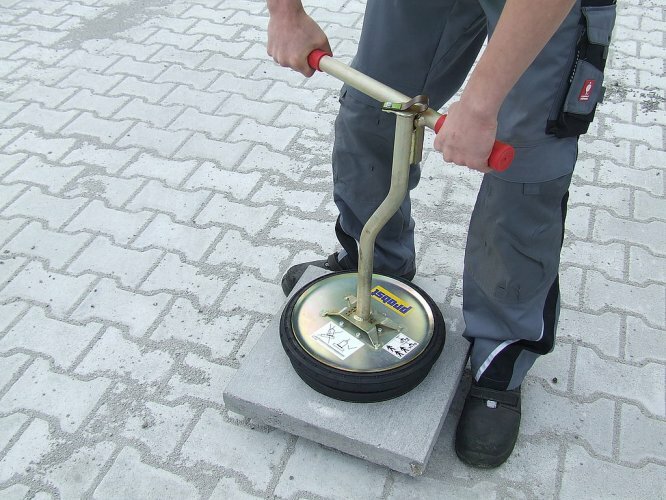 Attention – Can only be used on non porous materials nearby the ground level. Device must never be sat down onto edges, as this can damage the seal. Either set it down to an even surface or lay it down side ways for storage.